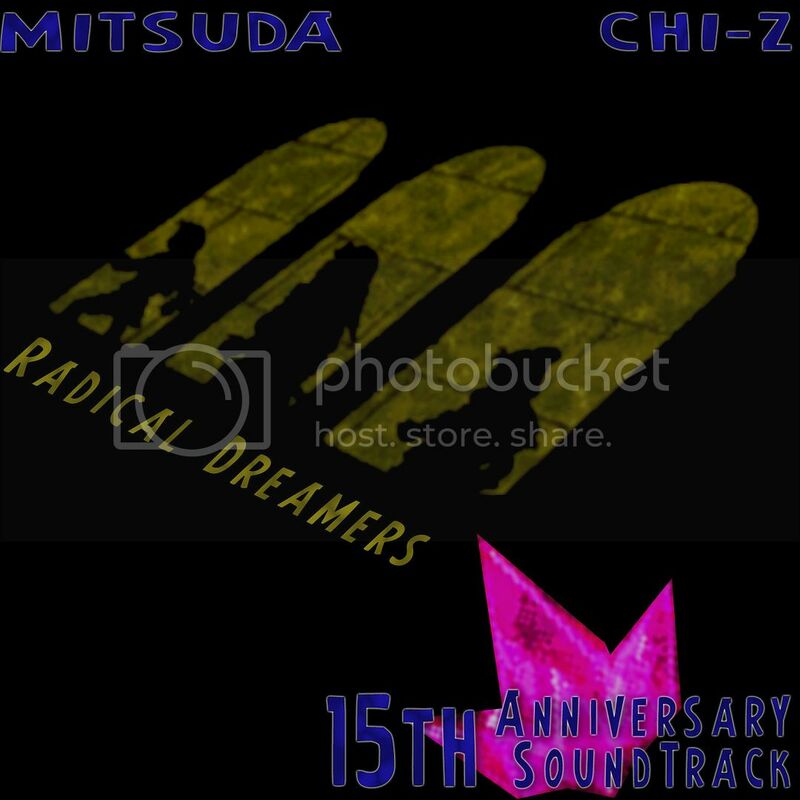 To celebrate the 15th anniversary of one of the best video games ever made, I have released my remake of the RD soundtrack; Radical Dreamers Soundtrack: 15th Anniversary Edition. I wrote out all 15 pieces using Sibelius 6, and have created both midi files and the sheet music to all of it, I compiled them into one 86 page pdf. Samples used include Vienna Symphonic Library, EastWest Ra, EastWest Symphonic Choirs and PMI Baroque organ. I have determined the instruments used in various tracks that no one else even had a clue of before (check the midis from vgmusic.com and then compare them to the instruments used in my project). This includes english horn in 'under moonlight', a first nations cedar flute in 'summer days' and 'le tresor interdit', celesta in 'under moonlight', 'snakebone mansion', uileann pipes, kora and kidi in 'le tresor interdit' and more. The only one that I have even a slight doubt about is the cedar flute, there's in fact a chance that it's just a regular flute, but it has a slightly different timbre compared to the flutes of other super nintendo games (including in Chrono Trigger). The shakuhachi is the only other ethnic flute with that high a range, but it's tone color varies greatly. The Irish low whistle is a candidate, but it doesn't quite reach the higher notes. The cedar flute was arrived at upon trial and error. Anyway, I hope you all enjoy it. My old RD stuff will be deleted/removed from the interwebs shortly. Good luck on that part. If it's on the internet somewhere, there's about three thousand other people who have it as well. But, I do indeed look forward to your remake. Kinda sad really, but I've never looked that deeply into Radical Dreamers, but I think that the music shares a feel something like Chrono Cross, if I remember correctly. Either way, whether or not I'm right or wrong, I'm sure I'll still like your work. The best of luck to you for any sort the finer points you need to work out in it. This is news to me! Sweet! Exciting! I look forward to hearing it! release is set for tomorrow! Nice! This is gonna be BOMBASTIC! and voila, happy bday to the game that gave us Serge, Kid, and Yamaneco! Aww dang, I love em! I loved the Portal to Hell one mostly. But dang, I wish that Climactic Clash one was more heavy on drums; it's the final battle, and I usually imagined it as that. the thing with that song, it's very very very very bass heavy. it has bongos (or was it congos, can't recall off the top of my head) that get drowned out by the upright bass, the bass drum, etc. I'm a terrible mixer I'm afraid. that and all I have is closed can headphones, so that certainly isn't helping much. wow, managed to get an astounding 2.17 out of 5 stars on vgmdb.com it's not that bad, is it lol? Well, usually 3-stars stands for "average", so I guess you know, but your score was merely due to lack of bass or mixing (they're compared to mastered tracks). xDDD I still say once you get the hang of Mixers you'd score about 4 stars. Noticed this went offline somehow. Reupped it on bandcamp, the 'download here' thingy in the OP now links to it. I think Radical Dreamers would benefit from a remake from Telltale Games if SEnix were ever up for it. An "interactive" movie that randomly pauses itself and forces you to hit meaningless buttons to continue? Sorry, no offense intended to fans of those "games," but I have to take digs at them (the games, not the fans) whenever possible.